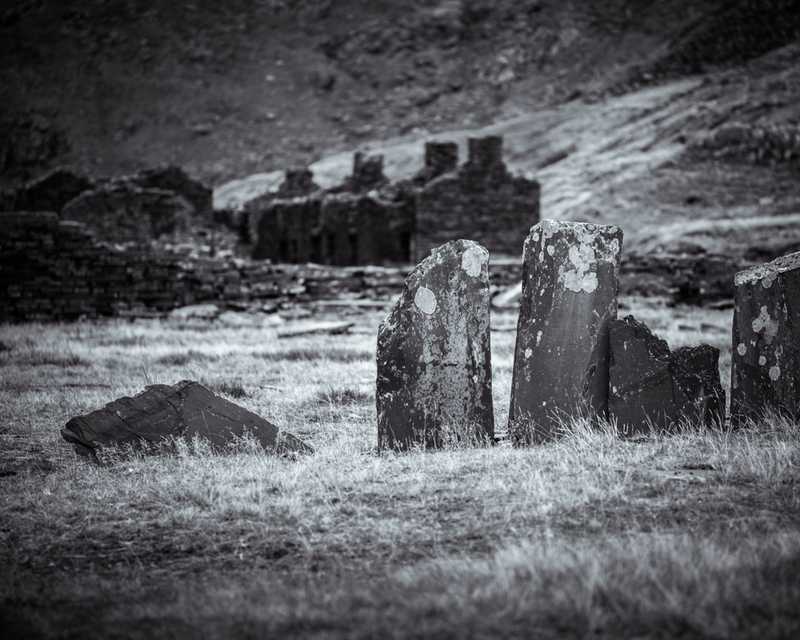 My last post gave a description of Cwmorthin slate quarry and included a number of photographs all taken in the lower section of the valley. You can read this entry here. The upper section is reached from the valley by walking up a fairly steep and long path, but it is well worth the effort. 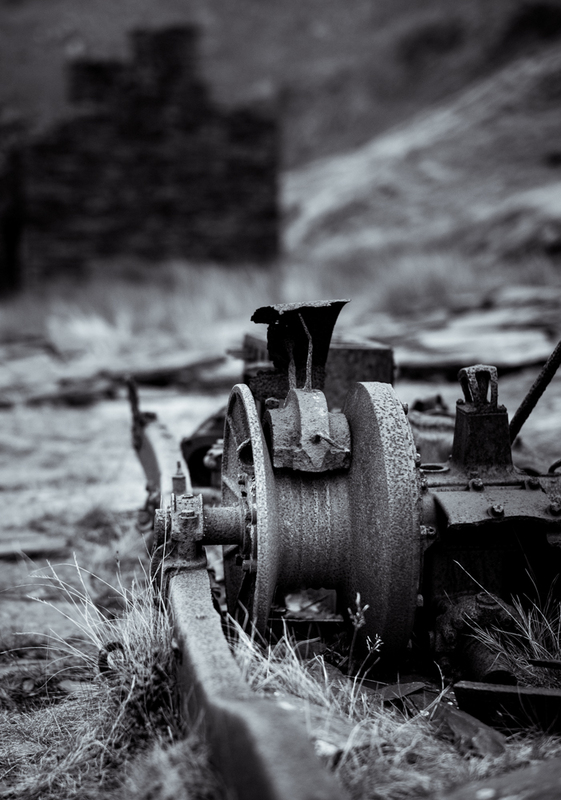 Here there are the remains of more buildings, old machinery and large pieces of slate, set into the ground like tombstones; memorials for the miners who once worked here and gave their lives to this dangerous industry. 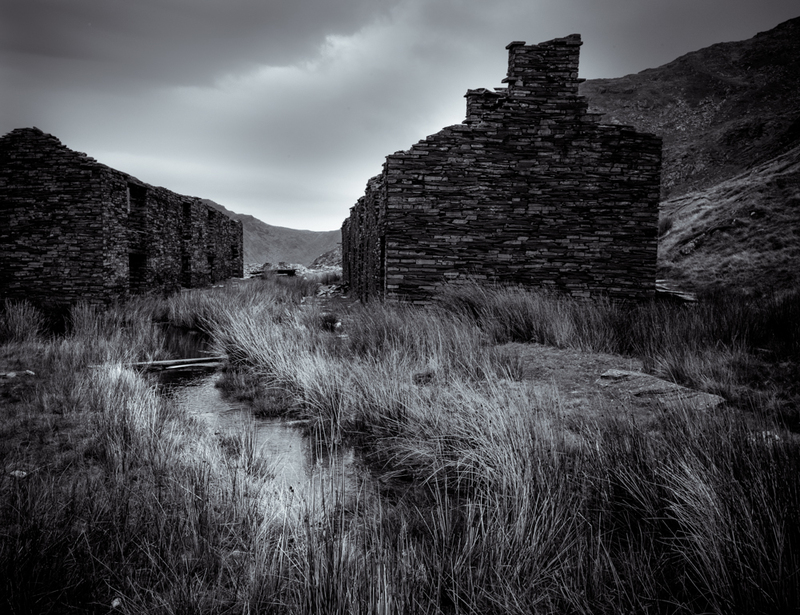 A note about processing – This post and the one before it, have a total of ten images all were taken on the same day in similar light and depict the harsh and rather bleak environment of Cwmorthin slate quarry. When grouping images such as these together, I recognise the importance of consistent processing to produce a harmonious set of images. However these photographs were not all processed at the same time. Some were done many weeks ago, others more recently to complete the set. Initially there was a lack of consistency in my approach. I had not used a particular preset, so I found it more difficult to achieve the look I wanted. 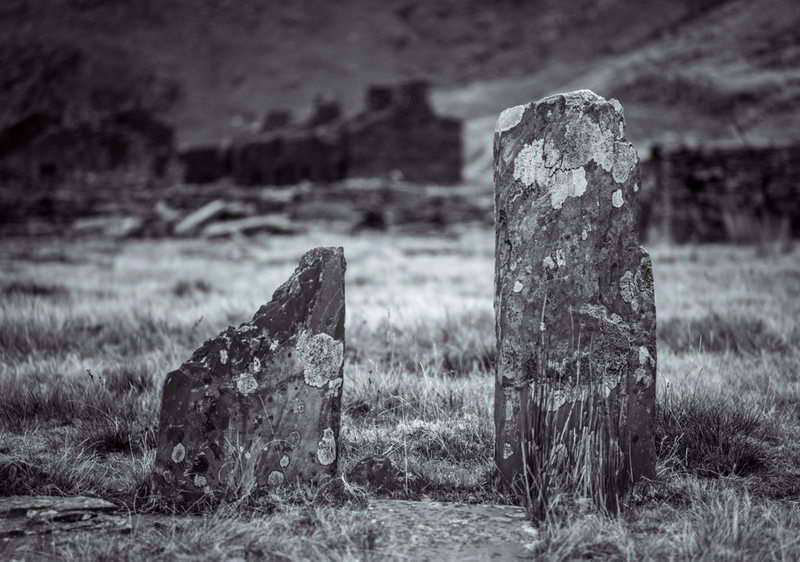 Having compared and then tweaked all the images, I finally applied a split tone, as I felt this was warranted. In my view it would add something to the look and feel of the photographs, with the aim of reflecting the atmosphere of the location. The photographhs all have a moody even brooding quality to them, increased by the almost sepia tint. Thanks for the feedback. The split tone is partly a cool blue as I wanted it to ‘feel’ cold and desolate. I’m glad you made the trip up to the Col to view these deserted buildings and the other detritus, Alan. I’ve been there three times now while out walking over the Moelwyns and Cnicht. 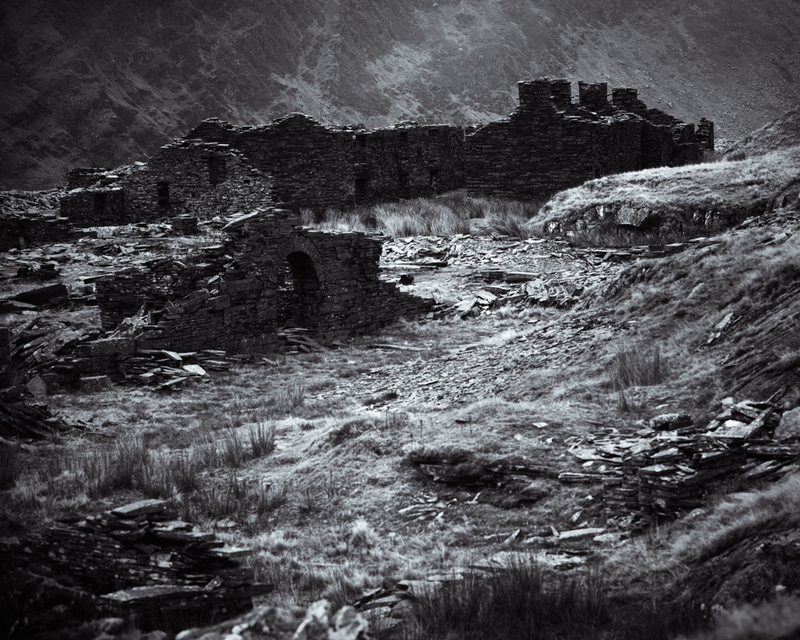 It must have been a hard life working up there – B&W can convey that harshness so well. Thanks for your comment Andy. Having spent the whole day at Cwmorthin, you couldn’t help but sympathise for the people who had to work there day in and day out in what must have been the most testing of conditions.